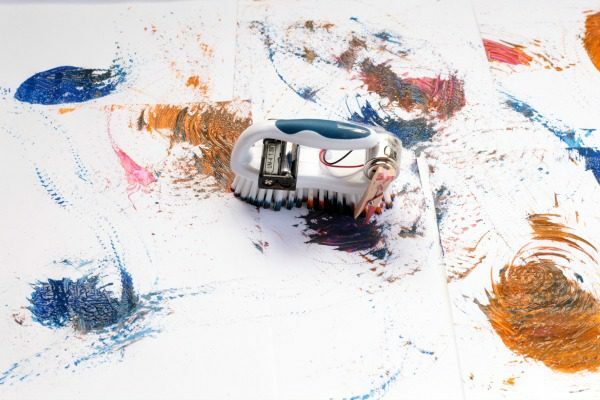 If you love robots, you’ll love this amazing painting brush bot that paints all on its own! 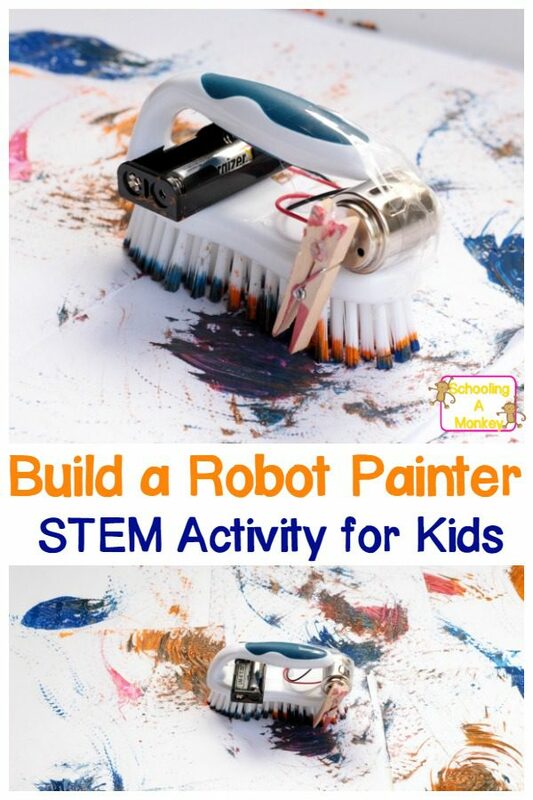 Kids will be delighted they can build their own robot! 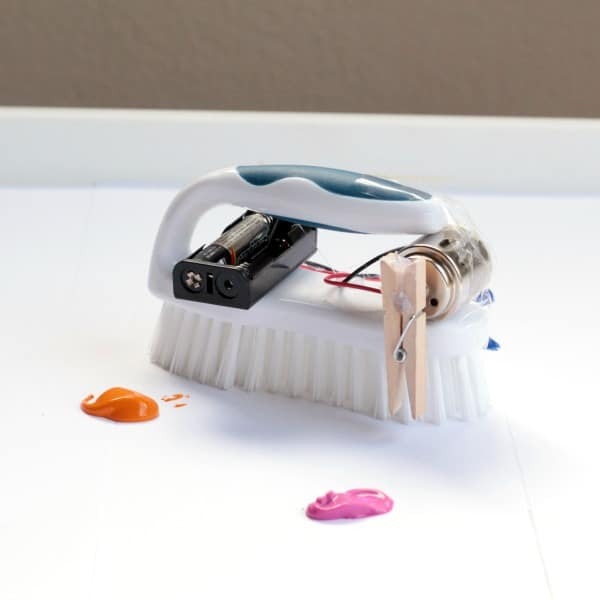 The painting brush bot is such a simple robot to make, but it has spectacular results! 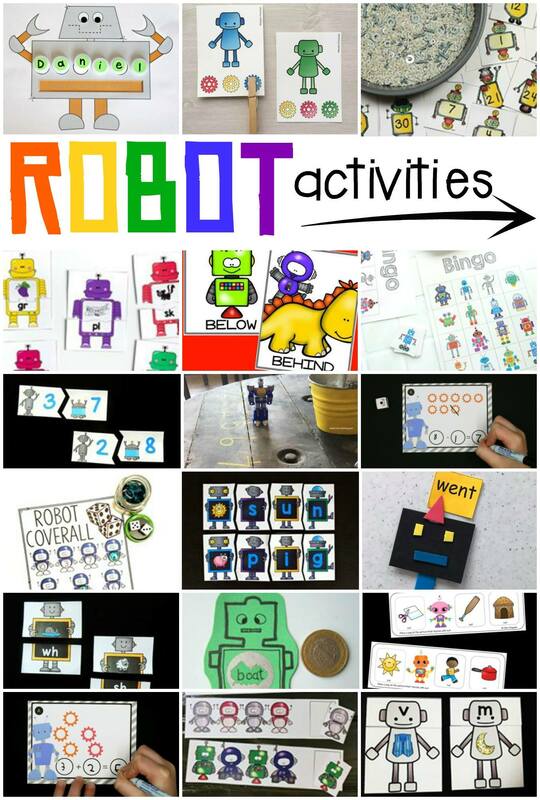 Add this activity to your STEM activities and it will be a real class-pleaser! A note before starting the painting brush bot: You shouldn’t receive any shock from the current in this DC system, because the human body can absorb the current without any pain. Most DC systems are less likely to shock you than AC systems, because they use lower amperage. We recommend using no bigger than a 3 volt motor for this project, not only to prevent any sort of shock, but also, because the motor gets spinning really quickly. When the clothespin travels around the rotor, it can whack you pretty good! The first thing you’ll want to do is connect your motor to your battery pack. Connect one of the wires to either port on the motor using the needlenose pliers. We found we had to tape our wires in place to keep them from falling off. Plug in your batteries and make sure the motor is spinning properly before moving forward. 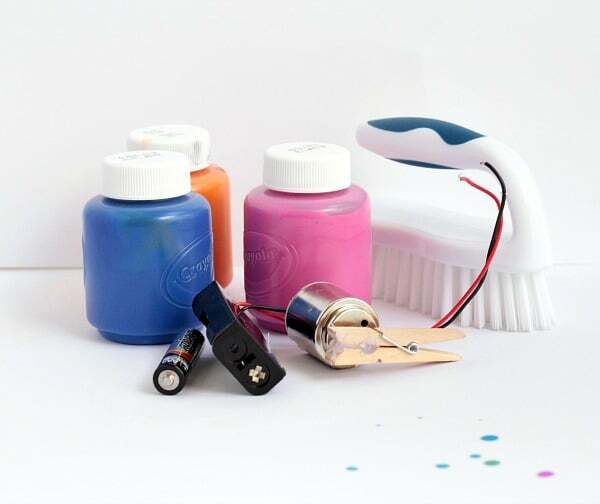 Glue the battery pack and the motor to the top of your brush. On ours, the motor could just squeeze between the handle and the brush, but if your handle is closer to the brush, you might have to cut it off with a saw. Glue a mini clothespin to the rotor of the motor to make it off-balance. This will cause the vibrations that make the painting brush bot move. 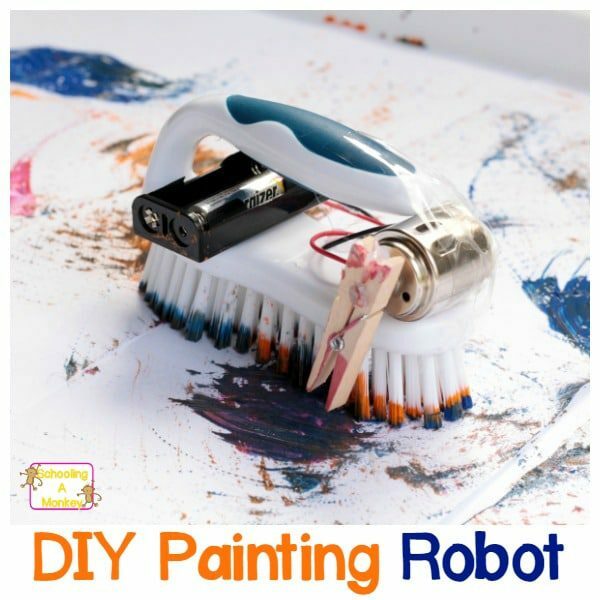 Plug in the batteries and make sure your brush bot works before moving on. Cover the bottom of your play tray with computer paper. We taped the pieces together so the brush bot didn’t pull the paper up when it moved across the paper. Place a few dabs of paint randomly on the paper. 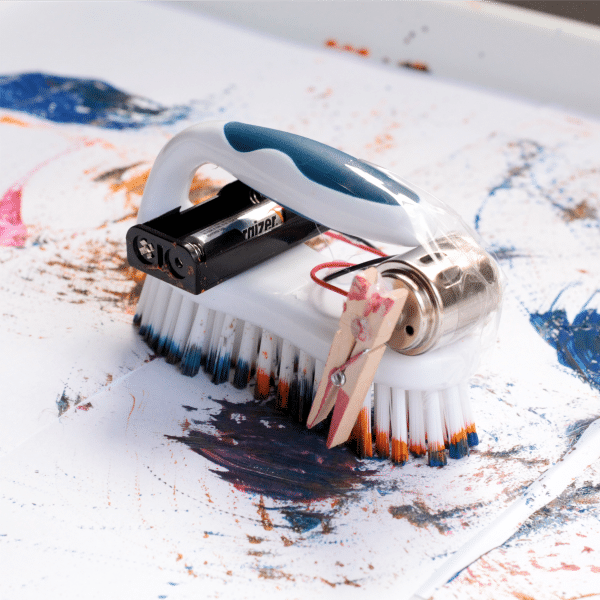 Let the painting brush bot loose on the paper and watch it paint like a master! Or at least a toddler.